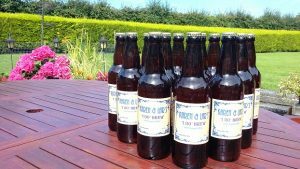 A personalised beer is a great extra touch for any wedding or other celebration as well as acting as a momento of happy occasions. As we brew, bottle and label all our beers ourselves, we can be very flexible in what we offer and can surely create something that works for your event. Please get in touch with us here and we can have a chat about the possibilities.